Sofala is the oldest surviving gold mine town in Australia and lies about 241 km north-west of Sydney. It lies along the Turon river and dates back to 1851 when gold was found at Summerhill Creek. There are still people living in Sofala, but not many and the town has a number of these houses and shacks that have almost fallen down. 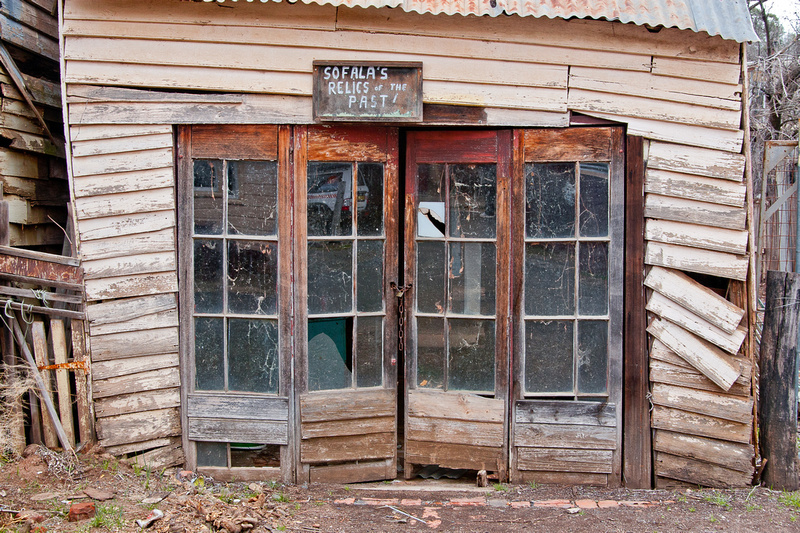 With a population of only 100, Sofala can easily be mistaken for a ghost town. I visited there with some good friends and we had a great lunch at the Solfala Gaol which is now also a B&B. Here are two of the old buildings that still stand today (but only just). Not the sign above the door on this next picture “Welcome Stranger”. While appropriate for an inn, the “Welcome Stranger” is also the name given to the largest gold nugget in the world (look it up) which was found in Australia in 1869. It weighed 3523.5 troy ounces. This entry was posted in Australia, Sofala.